My family likes to vacation and our plans mostly revolve around destinations that we can easily drive to. Though last year we decided to travel to a few destinations that required a flight to get there. I went into preparation mode and called airlines, researched their websites and looked for any information that I could about having a peanut free flight. What I learned is that a lot of airlines are slowly making changes and they are doing what they can to make a flight safe for a peanut allergy customer, but most of them (if not all) could not guarantee a peanut free flight. The latest airline that has caught my attention was JetBlue. While we didn’t fly JetBlue, I was very excited to see their recent announcement of partnering with Skeeter Snacks to offer nut-free snacks on board of their aircraft. While this is great news, it still doesn’t help a peanut allergy family rest easy when other passengers are bringing peanut snacks onto the plane. I know this is out of my control and it’s my choice to fly. We chose to fly Southwest airlines, mainly because cost was a big factor in our decision of what airline to choose. While Southwest airlines doesn’t offer a peanut free flight, they do take extra precautions to help keep their passengers safe. I know it’s scary to fly with a peanut allergy, it was terrifying for us as we have never done it before. But with much research, we were able to make our flight with a peanut allergy child without any problems or reactions. Call each airline that will fly into your destination and check into their peanut allergy protocols. I found that airlines are understanding and are very helpful with giving you the information that you need to make an educated decision. Ask the airlines if they offer a peanut-free “Buffer Zone”. Southwest airlines didn’t offer this on our flights, in 2013, but some airlines do provide a peanut-free safe zone. If possible, choose a flight that is early in the morning. This will give you less risk of being exposed to peanuts. Flight attendants clean the cabins each night, making it much cleaner then flying after a full day of passengers coming in and out of the cabin with their snacks. Call the airlines, after booking and 24 hours before your flight, and make sure that they have a documented note on your ticket about the peanut allergy. When you get through security, check in with the boarding desk and confirm that the documentation is there about a peanut allergy. Southwest airlines, and other airlines as well, will give you a pre boarding pass for your peanut allergy disability. Board the plane before others and wipe down your seat, the arm rests, the window, the pull down tray and the wall with Clorox wipes. 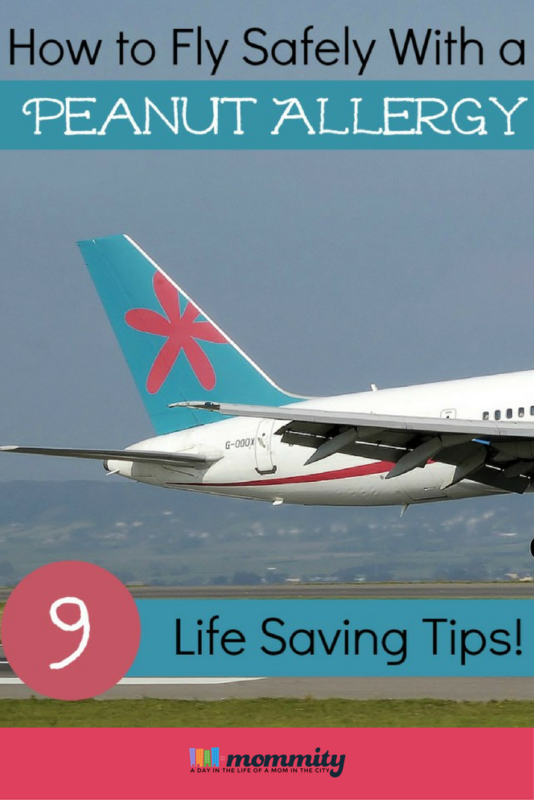 Bring your own snacks and make sure all medications are packed onto your carry on bags. If needed, consider bringing a neck pillow of your own so you can avoid using the pillows and blankets from the airline. If you are sitting near other passengers in the same row, don’t be afraid to tell them about your peanut allergy.